Get the most out of your junker. We know not everyone has a sparkling used car sitting in their driveway just waiting to fetch a high price on eBay Motors. No, plenty of people have cars that should have been put out to pasture long, long ago. Cars like that 1979 Volvo wagon that burns more oil than gasoline or the 1982 Honda Accord with more rust than paint pose an interesting dilemma for owners who want to get rid of them. As it turns out, you have a few options when it comes to sending your clunker on its way. Technically, you can sell your rust bucket just like any other car, but be careful. 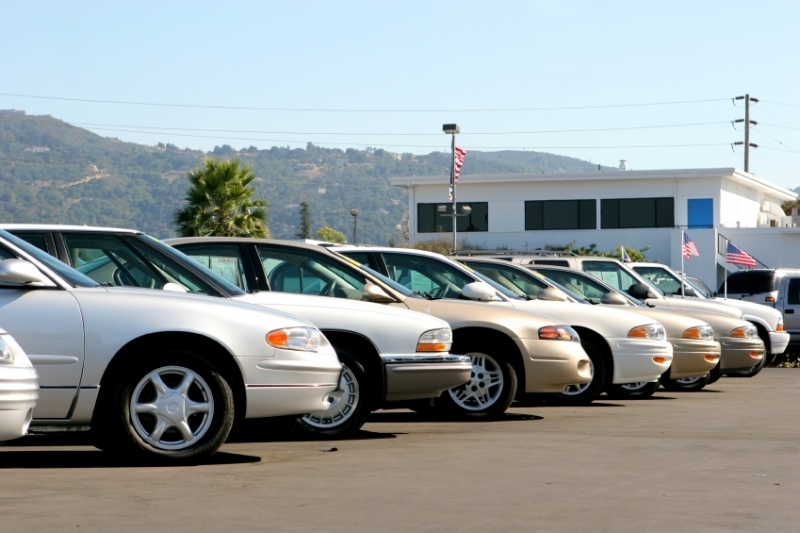 Many states have lemon laws set in place that cover used car sales. That means if you sell your car with the guarantee that “she’ll get you anywhere,â€ and your old ride doesn’t make it down the block you could find yourself facing serious legal woes in a hurry. What’s more, no one likes the idea of passing their own headache onto an unsuspecting victim. One option is to sell your car as a project or parts vehicle. These cars are sold with no warranty expressed or implied, and are usually intended to be cut up by some individual who’s looking to keep a similar car on the road. Selling your car this way probably won’t fetch you too much money depending on the condition of the ride, but it will get it out of your hair. A good rule of thumb to work off of is that any road safe, running vehicle is worth around $1,000. If you wouldn’t trust your life with your beater, get ready to drop the price tag accordingly. If it doesn’t run or has serious cosmetic issues, don’t be surprised if no one offers you more than $500. That’s not to say that there aren’t other options. You’ve probably seen or heard advertisements for charities looking for people to donate their old vehicles. Donation is a great option for people with aging or mechanically deficient vehicles to get rid of. Kim Schloss, a manager with CarsHelpingAmerica.org says that donation has a slew of benefits over trying to sell your car by yourself. “Usually cars that get donated aren’t in sellable condition,â€ she said. “By donating your car, you aren’t susceptible to any lemon laws and there’s a tax deduction for the vehicle. Most charities don’t deal with donated cars directly, which is why there are institutions like CarsHelpingAmerica that can take the vehicles, repair them enough to be fit for the road, sell them and then pass the proceeds to whatever charity you choose. In the end, you get a tax deduction worth up to $500 right off the bat and your charity gets some much needed funds. Schloss says that if the donor’s car ends up selling for more than $500, her organization will send them a deduction receipt for the new specified amount. It’s not too likely, but in some cases you may be better off scrapping your car. That doesn’t mean your old ride will end up in a landfill somewhere. These days nearly every part of a vehicle can be stripped down and reused later on – kind of like the ultimate version of recycling. Plus, most scrappers will pay you for your derelict set of wheels. Dave Grayber, president of AA Auto Parts, Inc. in Denver, says that what you get paid depends on a plethora of factors. While some specialty yards may be pickier about the kind and condition of vehicles they pick, other Pick-A-Part yards may be less discerning. They’ll also offer you less for your vehicle – sometimes less than $100. “It really depends on the vehicle, but I’ve paid as much as $4,000 for a newer truck that’s been in an accident,â€ he said. So what exactly happens to your car once it disappears into the hands of the salvage yard? When it comes time to get rid of your old ride, it’ll pay to do some calling around. Older classic cars may be in demand for hard-to-find parts, even if they don’t run or suffer from serious rust. Sites like eBay Motors are great venues for getting those cars out of your hair, while late-model rigs with too many miles on the clock may be better candidates for donation or outright scrap. Either way, letting your old car continue to rust away in your driveway is your least desirable option.